Your skills are your particular abilities—these include hard skills, like computer programming or accounting, and soft skills, like communication and relationship building. As a remote worker, you need to be able to demonstrate these skills in the context of a virtual environment. Developing your knowledge and skills based on your interests presents some unique challenges for remote workers, such as finding learning experiences that specifically train for the skills you need in the context you need, and dedicating time to developing existing and new skills. Social capital is a broad sociological term that refers to the active connections among people. In the context of career development, it refers to the resources that are available to you through your professional connections. Social capital is built on your networks, diversity, values, participation, sense of belonging, trust, reciprocity, and agency. Social capital can be bonding, bridging, or linking—these terms describe the nature of the relationships of the people or groups involved. Bonding social capital is within a group, bridging social capital is between groups, and linking social capital is the relationship among people with different levels of power. Having social capital affects your ability to ask for and receive help and to gain access to opportunities like promotions and raises. 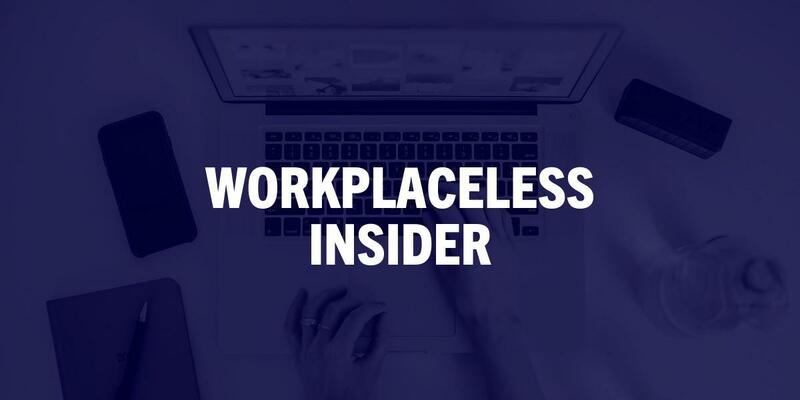 Since remote workers are more prone to isolation, they and their employers need to be intentional about developing their interpersonal connection inside and outside their team or organization. Work experience is the experience that you gain while working in a specific field or role. Experience can be directly or indirectly related to your current or desired role—the key is focusing on experience that is relevant. Relevance of past work activities may not be obvious—that’s why it’s good practice to describe how past experience in any role or field informs the knowledge and skills that are applicable to your current or potential position. To grow in your remote career, you’ll need to gain experience. You can gain experience by taking a different job, taking on additional responsibilities in a current role, or seeking volunteer or professional development opportunities. Two factors make gaining remote work experience especially challenging: 1) remote jobs are in high-demand, making access to those jobs more competitive; and 2) it may not be obvious what opportunities exist within a remote company. Vision is your view of the future. In the context of career development, it means being able to see and describe your career goals. Your vision contains two critical parts: the dream, or the ideas you have about the future, and direction, or how you will get there. In order to develop and communicate your vision effectively, you’ll draw on your creativity, problem-solving, strategic thinking, and communication skills. When designing your future remote career, it helps to have concrete examples in mind. Use your social capital to seek out examples among your networks—these can be shared in conversations, emails, or through other channels like social media or blogs. You don’t have to model your vision on anyone else’s, but compiling a diverse set of examples from other remote professionals can be extremely motivating and can shine light on opportunities that you’ve never considered. When you work remotely, you can’t rely on physical proximity to make you visible to your coworkers and managers. That means that you have to develop other ways to increase your visibility, like developing your thought leadership and establishing channels and messages in which you can highlight your successes. Internal and external visibility is critical to career growth. Your skills, social capital, experience and vision need to be recognized internally in order to access promotions or other professional opportunities within your organization. And they need to be recognized externally in order to find opportunities outside your organization. Remote companies can establish mechanisms and practices that increase team members’ visibility, like providing opportunities for remote workers to showcase their expertise and strengths internally, such as skillshares and cross-training, and externally with the support they need to share their expertise at conferences or in publications. Resources are the people, tools, and programs you enlist to support your remote career development. People that can help you develop your career include mentors, coaches, managers, human resources representatives, learning and development practitioners, advisors, accountability partners, and colleagues. You’ll leverage your social capital to identify these resources. Examples of tools that can help your career development include career pathing software, learning management systems, skills assessments, job boards, or any of the tools that you use to develop the other keys to career growth, like social media to increase your visibility or an elearning platform like Workplaceless to develop your skills. Programs that guide your growth may be available within your organization, like mentorship or leadership programs. External programs like Growplaceless offer those with or without access to those internal programs the opportunity to reflect on what is specific to remote career growth. Opportunities are the professional and personal rewards that you can access as a result of your interests, skills, knowledge, experience, social capital, visibility, and resources. 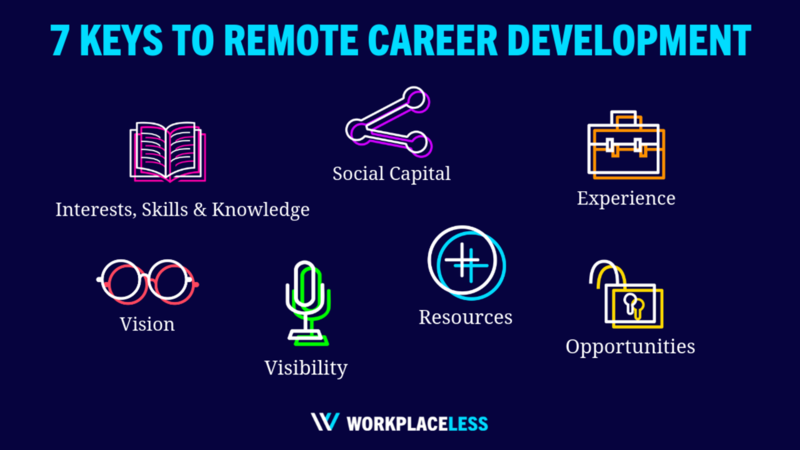 In order to grow in your remote career, you need to identify and take opportunities that will benefit you professionally. Opportunities can include promotions, raises and other rewards, or they can include the chance at different roles. Throughout your career you’ll encounter opportunities—by developing a clear vision and developing the keys we cover in Growplaceless, you’ll be better equipped to weigh your options and make decisions that are the most beneficial to your remote career. Remote organizations can help employees by making opportunities transparent—announce and record any opportunities in a central location that is easily accessible. In addition, organizations can provide the resources that employees need to assess these opportunities and make a decision. What are some of the biggest challenges you've faced in developing your remote career? Or how about the biggest lessons you've learned? Submit your remote career story here. Kristi DePaul contributed to this post.